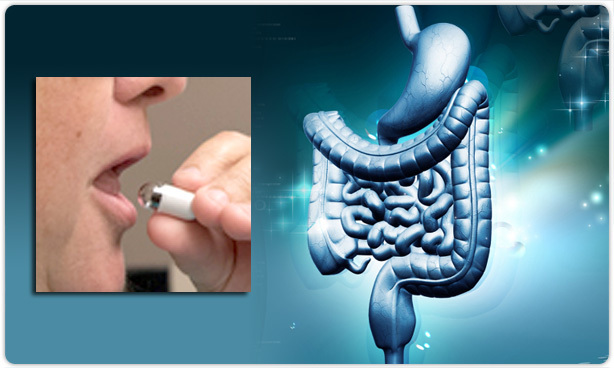 Capsule Endoscopy is a breakthrough medical innovation for the gastrointestinal diagnosis. This kind of endoscopy can examine the deepest area of the small intestine that the typical endoscope cannot access. It results the accurate, intensive, precise, and efficient examination. The capsule is the size and shape of a pill and contains a tiny camera, as well as, a patient can swallow it safely. During the procedure, the patient will be instructed to swallow the capsule with a mouthful of water. After that, the capsule will pass naturally through your digestive tract from esophagus, stomach, small intestine and will end at large intestine. The capsule is collected after being excreted and the images interpreted. The process is not harmful at all. The procedure is approximately 7 hours. The capsule can visualize for 2 images per second and 50,000 images in total.